So far things are going well in my world. I finished editing the manuscript for A Girl From the Hill, and I’m putting some final touches on it. I’ve gotten help from some great people and am feeling very grateful. So why the frown? Not really a frown, just a little melancholy and reflective. On the way to work this morning, I had my favorite satellite 70s station on and Harry Chapin‘s Taxi came on. I haven’t heard this song in years. It always moved me. First as a girl growing up in the 70’s and not even understanding the story, but loving something about it anyway. Maybe his voice, how it changed throughout, or that hauntingly high singing during the bridge. I always wondered if it was a man or woman, and then I saw Chapin perform this song on television one night. A shaggy guy with thick spectacles and an angelic soprano crooned the most haunting lyrics I’ve ever heard. It freaked me out as an eight year old, and still does a little today as I watch this same performance on YouTube 40 years later. 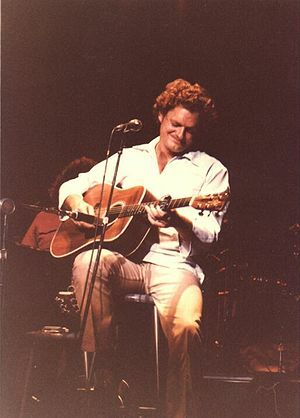 Harry Chapin was an amazing story-teller whose life ended way too early. I felt compelled to look up the lyrics today and read them. His words create such vivid images, both ordinary and fantastic.